Hi Michael, first of all thanks for this interview. 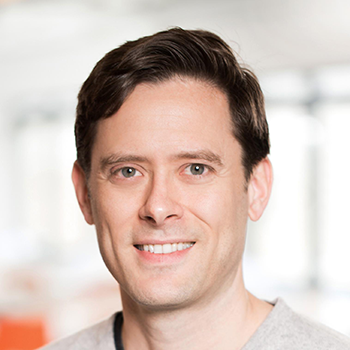 For those that have been living under a rock the last 2 years, could you please tell us who is Michael Pryor and what’s Trello? How did you guys came with the idea of Trello? Could you please also explain our readers about the role of your co-founder Joel Spolsky, Fog Creek Software and the relation with Stack Exchange? How did you meet? Joel and I met while we were working for another company, and decided to launch Fog Creek Software in 2000. We didn’t have a specific product in mind, but we started with a few software consulting clients and then began building products in house. Our goal was only to build a place where developers would love to work. So we built private offices, brought in catered lunch and made sure everyone got two monitors when they started work. Stack Overflow, which we launched in 2008 as a place for programmers to ask and answer questions, spun off as its own company and raised venture capital in 2010. 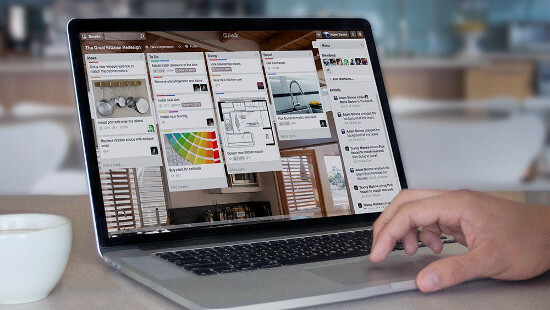 Trello was started as another Fog Creek project back in 2010, and we released it to the public at Techcrunch Disrupt in 2011. How did you acquire your first 1.000 customers? Wasn’t it difficult to communicate a different (and probably more natural way) to manage tasks? We opened Trello to the public on stage at Techcrunch Disrupt, and we began to see massive organic growth as people used Trello and added friends and coworkers to their boards. Trello is a naturally collaborative product, and because of its visual nature people understood how it worked from the first few interactions. How did you overcome the “blank page” syndrome for the first sign ins? Did users understood how Trello worked? This is something we continue to work on- New users who are invited to existing boards have higher engagement rates than those who just sign up on the site. Luckily, our first demographic of developers understood the concept of kanban, and were able to see what we were doing right away. Do you remember any notable error you did at that time? How did you overcome it? We added markdown in Trello which in retrospect, was a mistake because it’s a developer centric feature in a non developer focused product. We overcame it by adding guidance on how to use markdown within the app, but users sometimes still get confused. It’s not easy, but we built a product that people love to use. Like they really, really love it. We took an experience (planning) that isn’t super exciting and made it fun. We also built something super flexible, so it could mold to how people wanted to use it and not enforce our methodology on them (which is hard without building something complex). That means that people enjoy using it and naturally use it for a million different things, but then they tell all of their friends and people they meet how they are using it. For example, a person getting married uses it to plan their wedding and loves the experience and makes the effort to write a post on their blog. Their readers are people getting married, which is not an audience we would normally have access to. The users market the product for us. Our business model is to have a 100 million people using the product, of which 1% pay us around $100 a year. Simple way to make a $100 million business right? The idea is that we target features to the people that are getting the maximum value out of Trello and have integrated into every aspect of their life, and because they are getting so much value out of the product, they are happy to pay for it. The other 99% drive our marketing to new people. We’re confident that building a product people love is the best way to build a successful business. Coming back to the new of the day… Why Spain? We’re so excited to be launching in Spain. Startups and entrepreneurs have been using Trello since we launched a few years ago, so for them, it’s no news that Trello is coming to Spain. However, having an English product restricts our ability to grow to mass markets where English products aren’t readily adopted. We want both entrepreneurs and their less tech savvy friends to see the simplicity and beauty of using Trello to manage their lives. How are you going to manage your presence in Spain… what do you expect from this market? We will see how having the product in Spanish affects user growth, and will hopefully develop a much larger local presence with Spanish content and sample boards in the coming months. Hopefully at some point in the near future, we can also translate to Catalan and Euskara. Trello will be launching in German and has already launched in Portuguese. We’ll be launching in different countries as well as working on features to make the product more useful for businesses and consumers alike. Based on your experience both as a founder, what advice would you give to other entrepreneurs that might be starting their own companies? If you are building a software company, remember that your software is not the secret ingredient and can probably be copied in a short amount of time. The design, the execution and the originality of your idea is way more important. Seeing where the world could go when your idea is a big hit, when no one else can see that, probably means you are on to something. 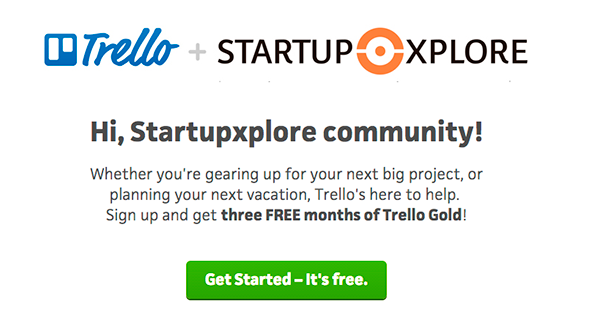 Thanks a lot Michael, not only for the interview but also for giving Startupxplore users 3 free months of Trello Gold.